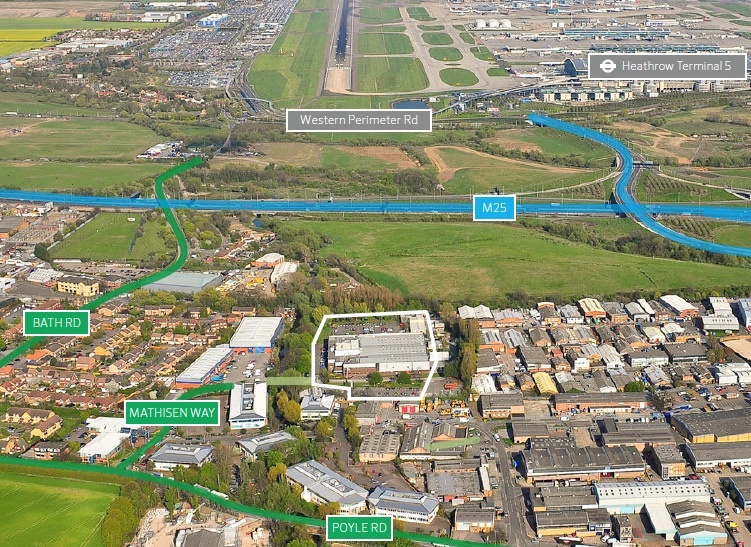 This development site is located on the edge of the M25 and Heathrow Airport and is let short term to a fire protection company. We are pursuing a planning consent for up to 140,000 sq ft industrial and warehouse development. 7.7 acre development site capable of accommodating 140,000 sq ft industrial and warehouse development.